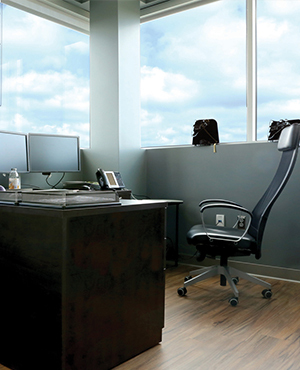 The contract furniture division provides you with furniture direct from over 400 manufacturers. You will have access to a local W.B. 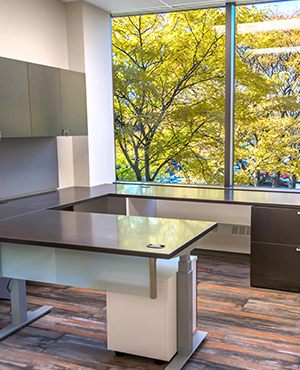 Mason representative, who oversees each phase of a furniture project – Design, Project Management, Account Management, Installation, and Service. The representative serves as account manager, and interacts with designers, project coordinators, installers, and customer service to ensure long-term customer satisfaction. 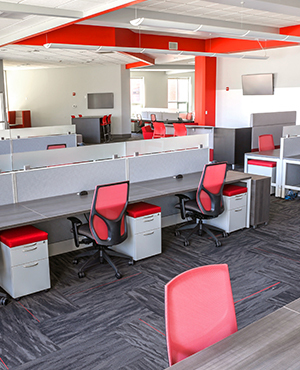 Projects can range from one office of new furniture to a complete redesign of a corporate headquarters or school. W.B. Mason is focused on solving customer problems with personalized services and customized solutions. The organization takes the long-term view on strategies and business relationships, and is flexible to meet customers’ ever-changing needs. The objective is to provide the best overall solution. W.B. Mason collaborates with its network of designers, architects, and general contractors, while overseeing every aspect of your project. W.B. Mason Interiors has over 50 locations in what we like to call “Masonville.” Through the company’s wholesale distribution network, W.B. Mason delivers to you nationwide.